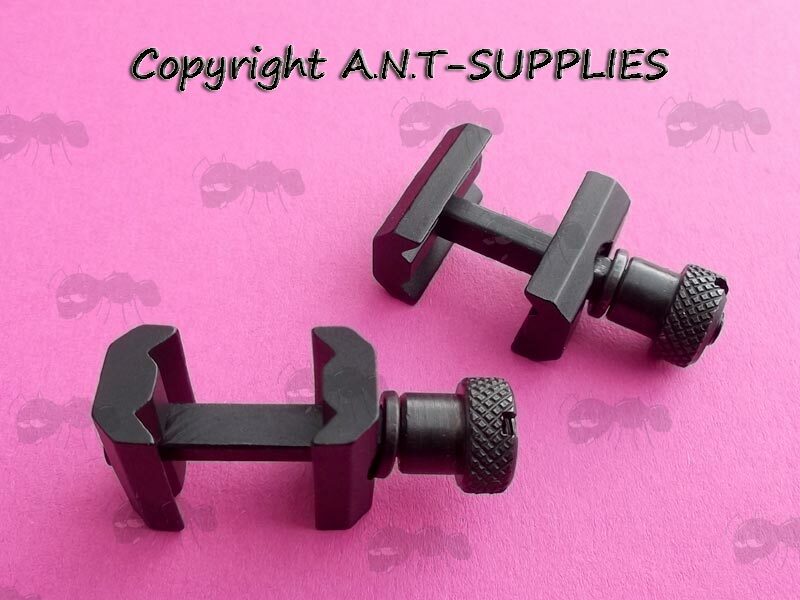 For fitting various devices with 20mm wide rail mounts to 20mm wide rails. Weaver / Picatinny to Weaver / Picatinny. High-strength light in weight, low profile clamp. 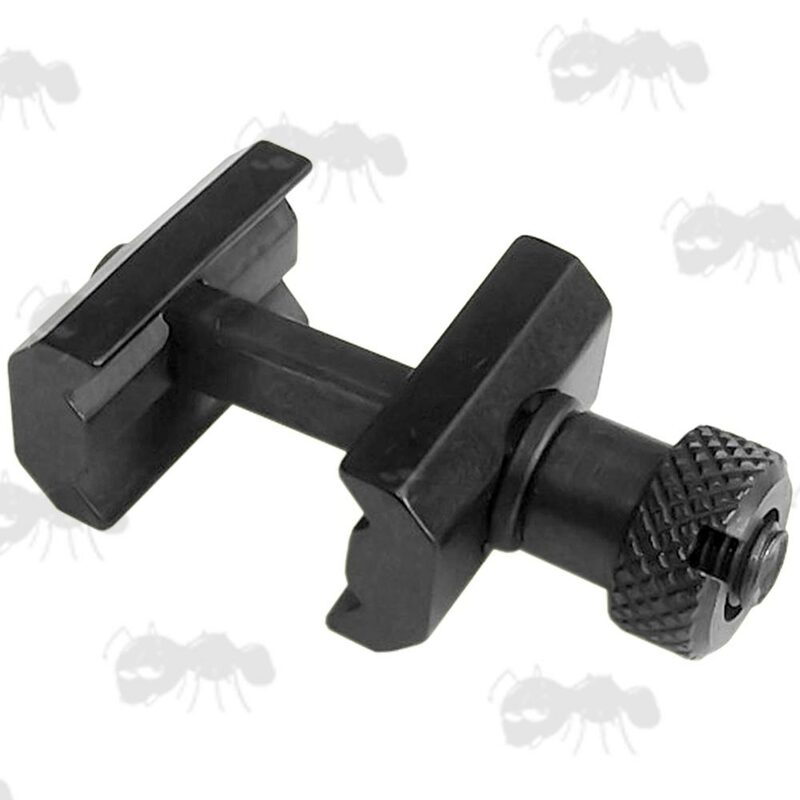 Square profile clamp bolt shaft, for a secure hold. 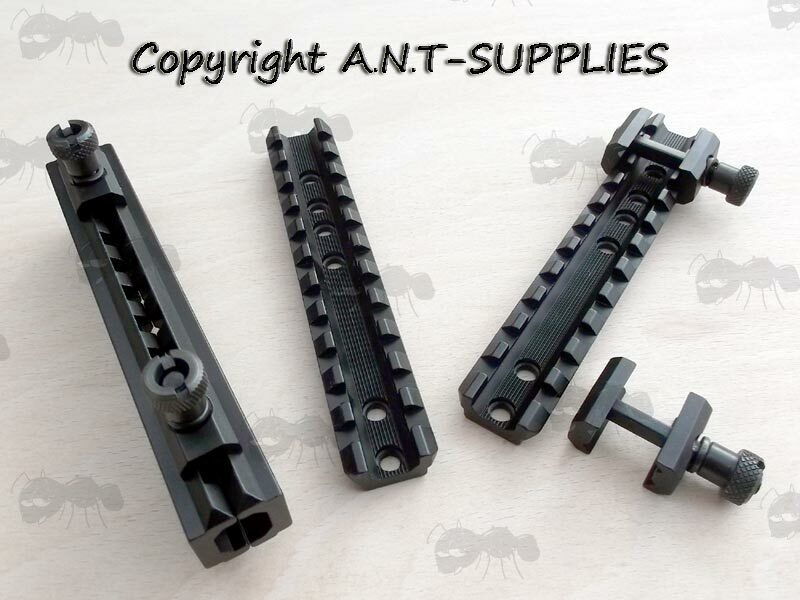 Made from aluminim with steel fittings and black anodized finish. Adds just 1mm extra elevation. Quick-fitting slot headed thumbstud with spring washer. With this adapter/s it is possible to mount a railed accessory to a rail. 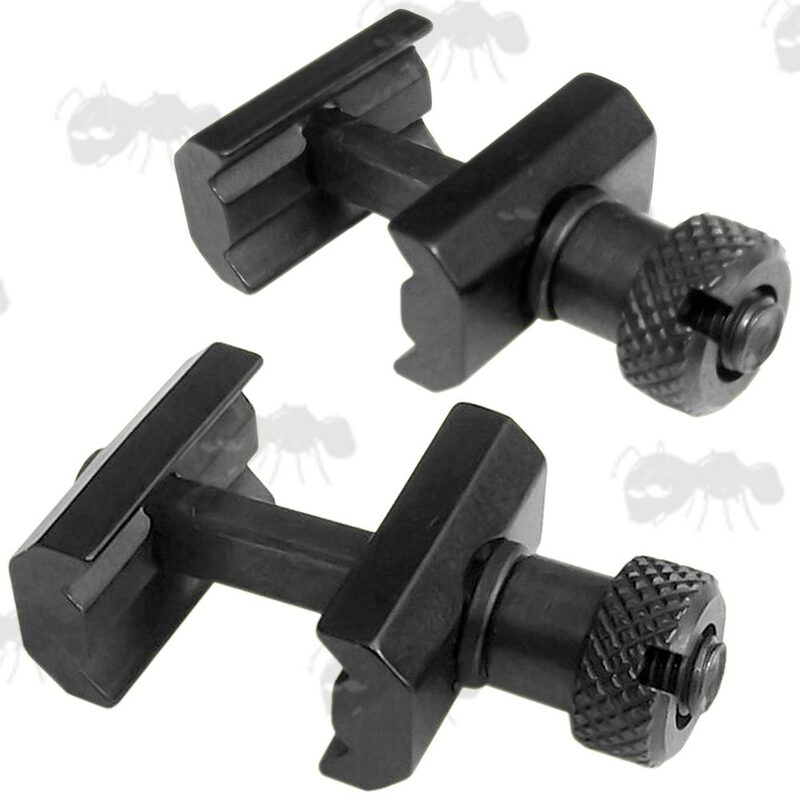 Initially designed to mount railed 40mm grenade pistols to rifle rail systems. They offer multiple mounting solutions for shotguns, small arms and accessories to a long rail system.